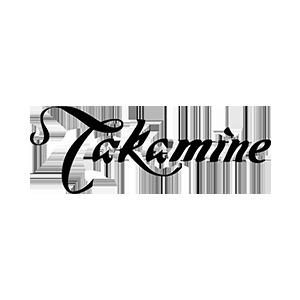 Browse Takamine | Musical Instruments | GAK. Takamine guitars are nestled at the base of Takamine Mountain in Sakashita, Japan. With over 40 years of guitar making history Takamine guitars dedicated to innovation and improvement to the art of their craft. Takamine has made technological advancements that have surpassed other guitar makers. Takamine prides itself in their dedication and loyalty to fine luthiership and it is shown through each Instrument the company makes. Featuring a solid spruce top and flame maple back and sides, produces all the volume and robust sound that players expect from a jumbo bass guitar. (B-Stock) Guitar has been damaged in transit and has dent in lacquer on back of body (see pics) otherwise very good condition. (B-Stock) guitar has been dented on body top, (see pictures) otherwise very good condition. Comes with fitted Hardcase. Designed for use only in Pro Series Takamine guitars made in Japan. It is not compatible with G Series guitars and electronics. The first and only onboard tube preamp for acoustic guitar, produces a rich, full sound. (B-Stock) Non original packaging Preamp in very good condition, no 9v battery included.